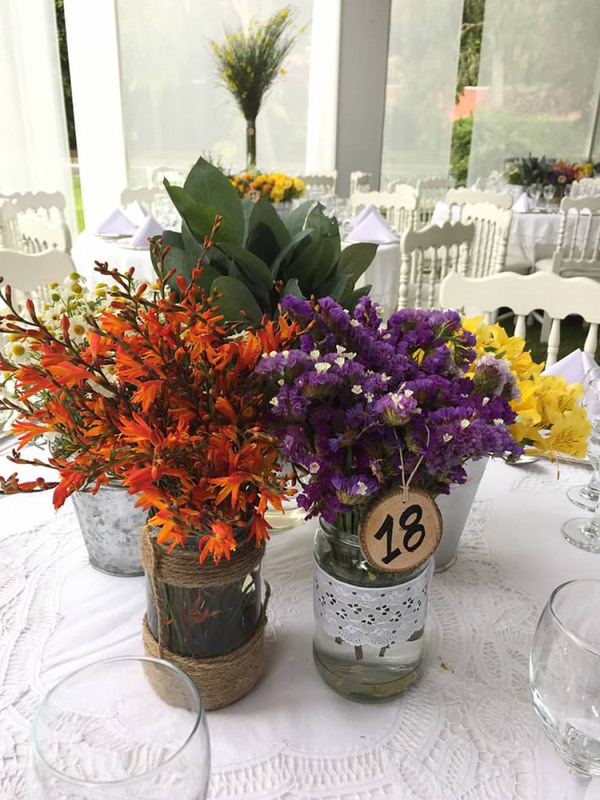 Flowers decorations are key for outdoor wedding celebrations, they bring that bucolic touch to the event bride and groom are looking for. 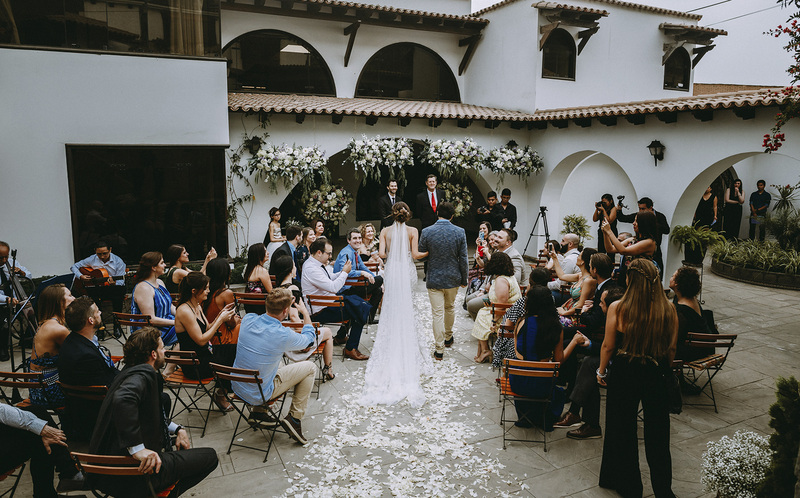 If you are planning an outdoor wedding you want to get married in an open space, in the middle of nature, in a beautiful garden with trees all around, in the middle of a valley with the Peruvian Andes as background or on the beach with the Pacific Ocean at the back. But in few words, what is important to you is: to be rounded by nature! So we tried to incorporate in the decoration several flowers elements, such as swing decorations, little flore arrangements for the ceremony path, and we also include a tree decoration for the cheese table. The atmosphere was really magic, a real fairy tale. 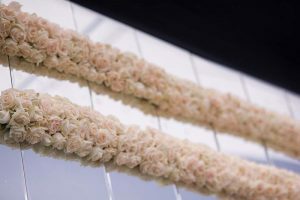 For the ceremony we used swing decorations, three big flower arrangements and several white babiesbreath arrangements for the path to the ceremony. 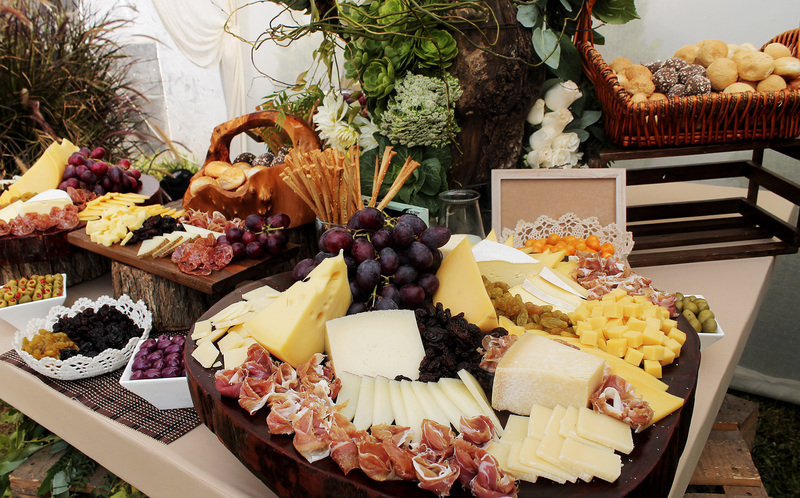 The imponent tree decoration was set right in the middle of the cheese table, rounded by bread rolls, olives, dry and fresh fruit and obviously many different kind of delicious cheese. 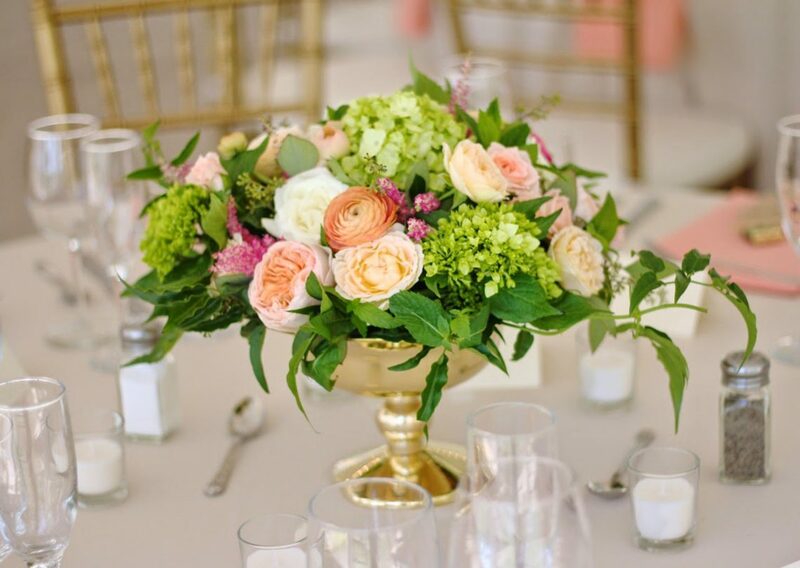 For the dessert table we use a huge flower arrangements on the green tones. We placed right behind the wedding cake. It looked amazing! The cake was a naked ones with red berries and topped with one of the cutest cake topper we have ever seen. 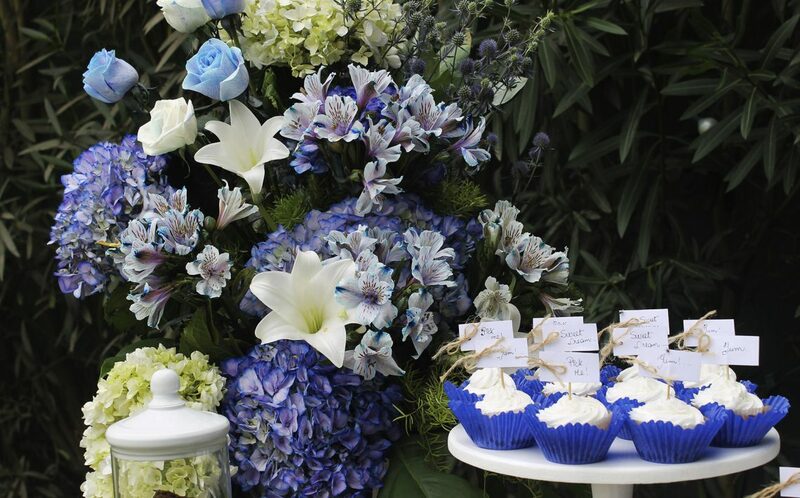 The little sweets placed all around were the perfect complements for the beautiful flower arrangements. 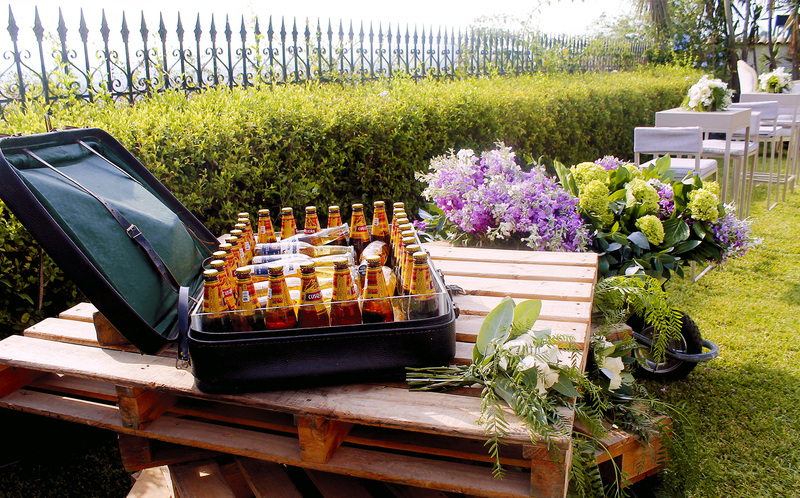 Where we could not use flowers we decided to use wooden elements, such as for the bar and the beers station. 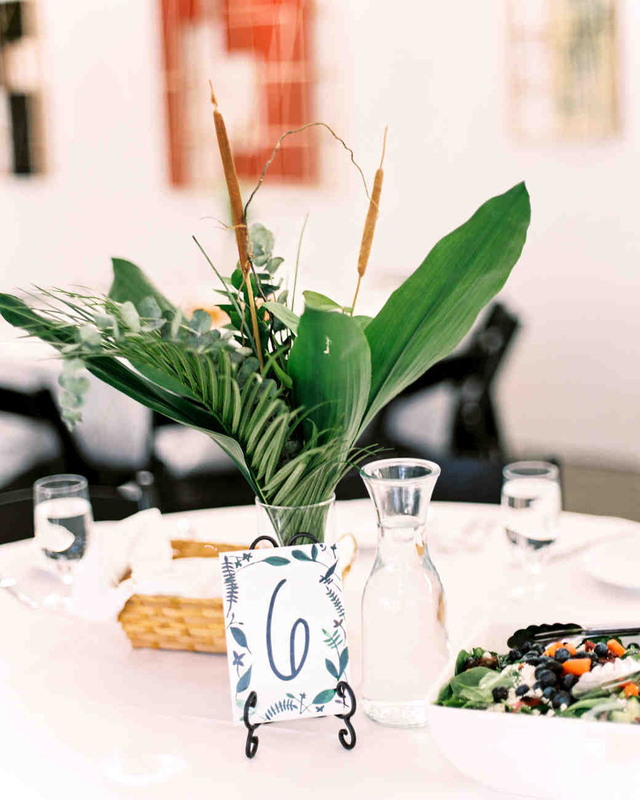 Foliage, flowers and wood were the main carachters for this wedding event. The reception table was a long squared table for about 30-35 people, with a long flower arrangement on the white and green tones. Actually the mise en place of the table was really simple but the main character was the flower arrangement for sure. 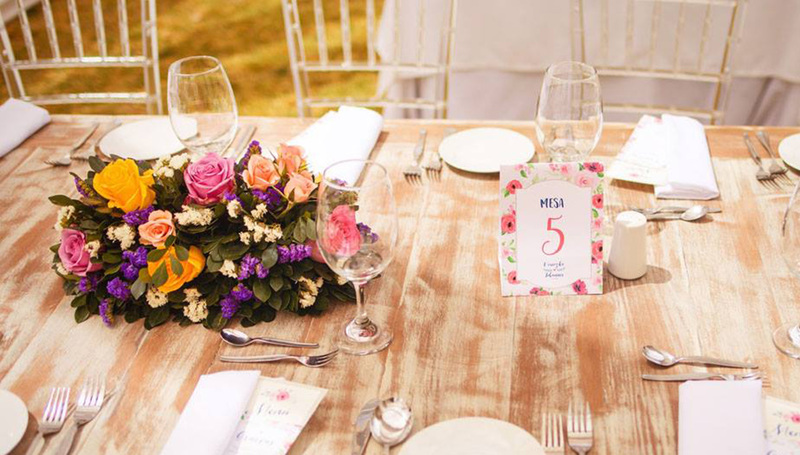 We rounded the reception table with swing flower decorations, to complete the natural feeling of the area. The beautiful swimming pool also helped us including another nature element: water. 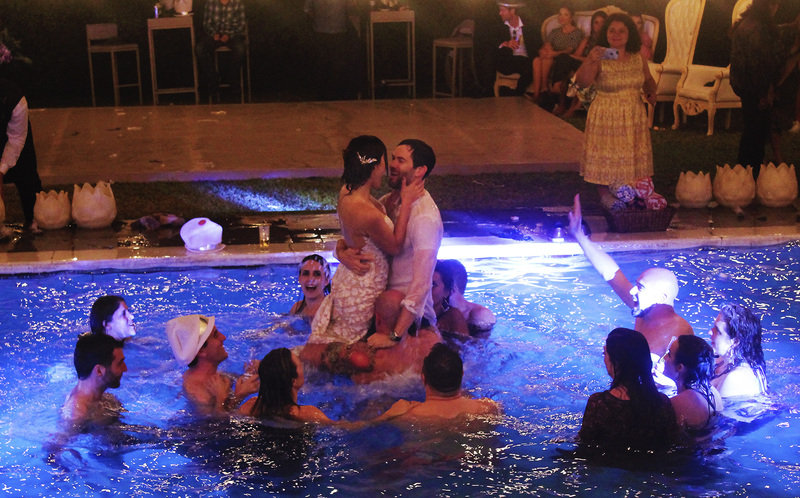 Obviously at the end of the part bride, groom and guests jumped into the pool. It was a lot of fun! 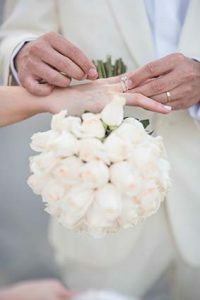 This wedding really helped us understanding that nothing is impossible when it comes to wedding events, and that the importance of flowers decorations is really undisputed. We loved playing with flowers and wooden elements to recreate the atmosphere bride and groom were looking for. I had the pleasure to organize several outdoor rustic weddings in the past years, but I have to admit that the last one really impressed me for decorations and the beautiful dessert table. 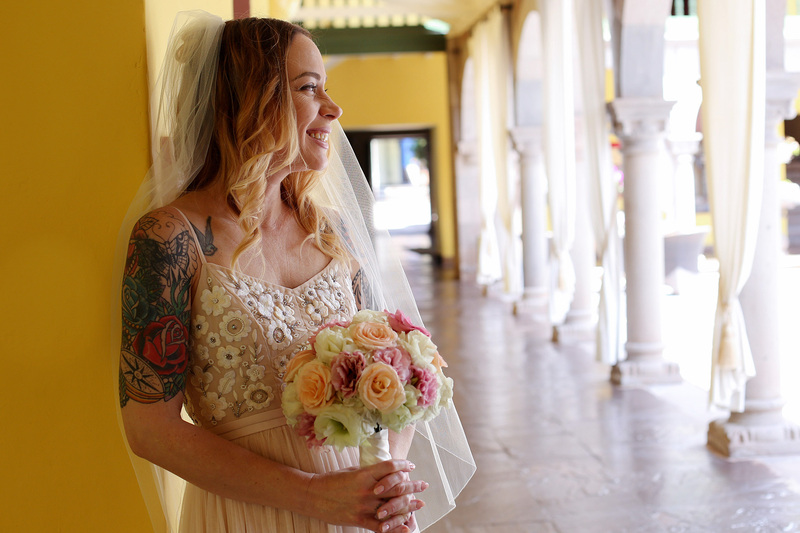 Ceremony and reception were held in the same venue, a beautiful hacienda nearby Lima, and everything was set outdoor. 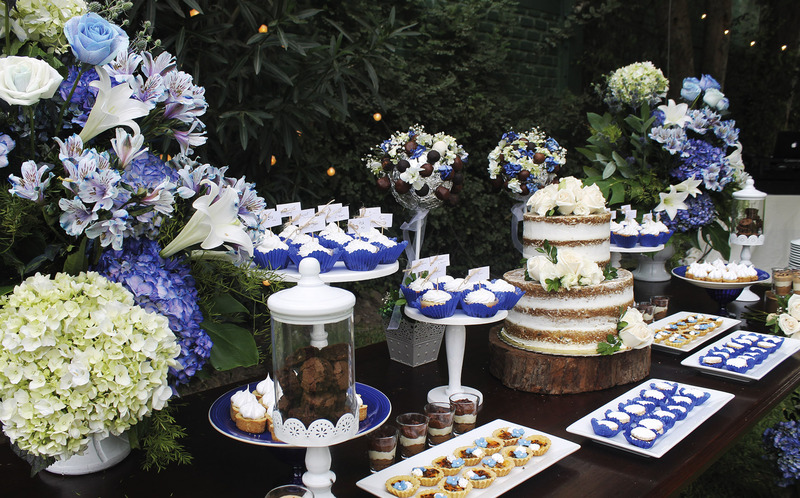 In this article I want to share with you how we set up the dessert table, the desserts used and the decoration details. 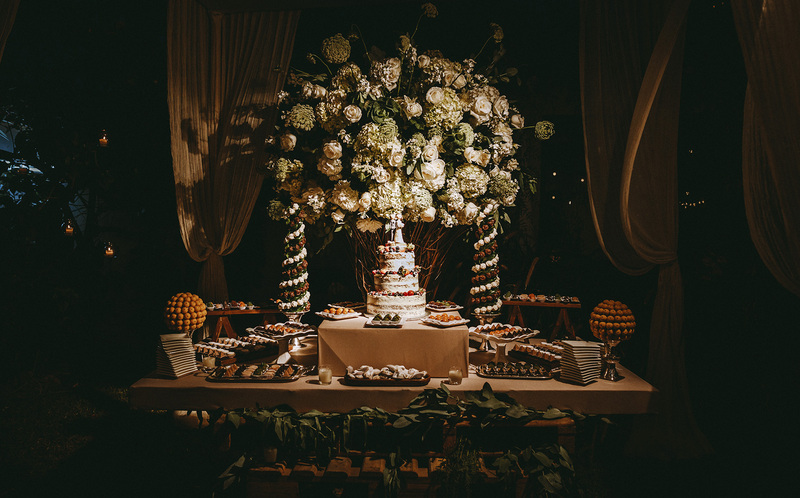 The sweet table was placed in the reception area, alongside the guests’ tables. The table was approximately 8 and half meters long, rigorously made of wood, considering that bride and groom wanted a rustic-style wedding. 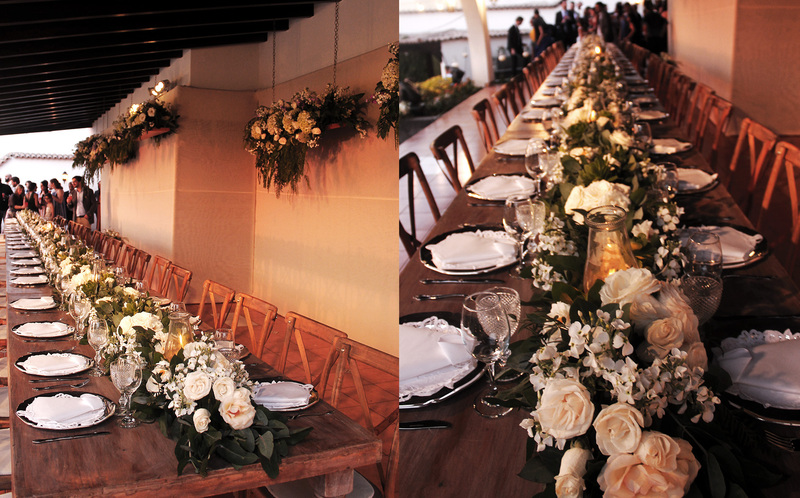 The table was also enriched with flower decorations, in line with the wedding’s colour-palette: white and navy blue. At the centre of the long table we placed the beautiful wedding cake, prepared by Dulcefina., one of our wedding cake supplier in Lima. 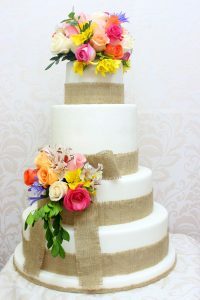 The cake was a 2-layer naked cake decorated with immaculate white roses and foliage. Bride and groom opted for a carrot cake. 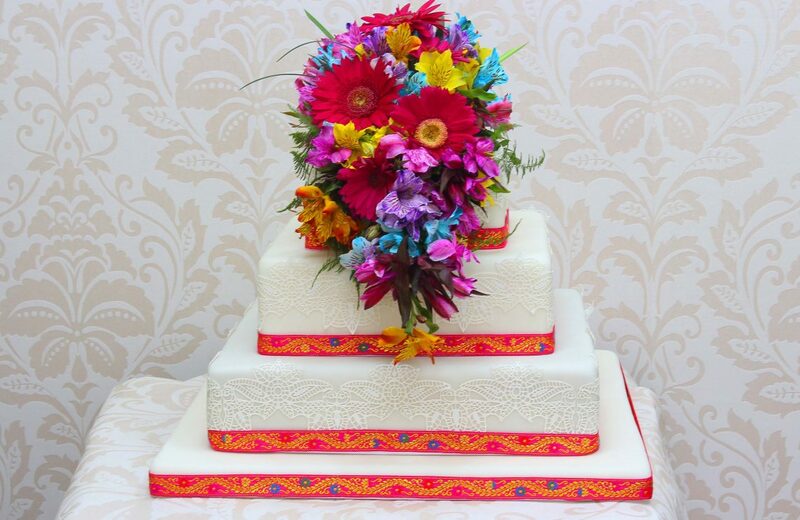 It was a very elegant cake and it tasted spectacular! Alongside the carrot cake there were several other desserts on the wooden table, as you can see in the photos. 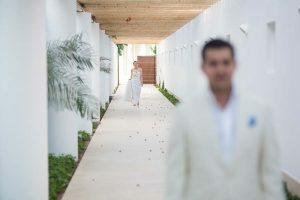 Bride and groom decided to opt for a special mix of tradition Peruvian desserts, such as “Pie de Limon” and “alfajores” and more international ones, such as brownies and cupcakes. 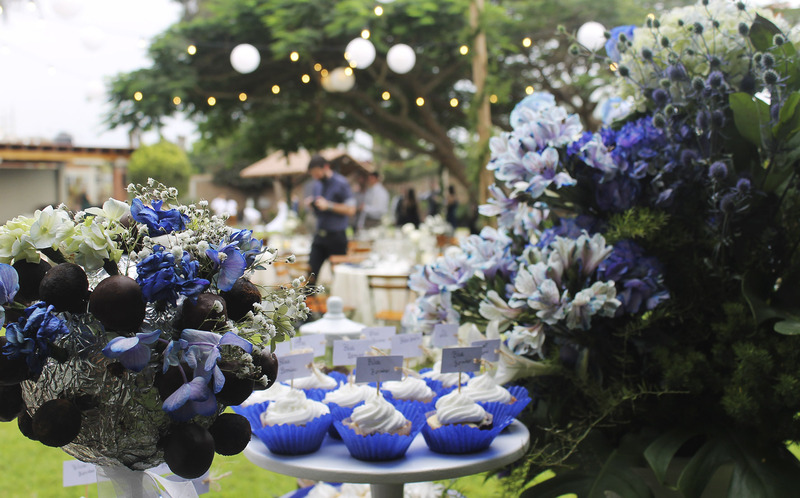 The desserts selected in this occasion were: blueberry and chocochips cupacakes, nuts cupcakes, little lime pies, passion fruit pies, three chocolates mousse shots, cornflour “alfajores”. “Alfajor” is a traditional Peruvian dessert made of two soft biscuits, in this case the pastry chef used cornflour, filled with “dulce de leche”. 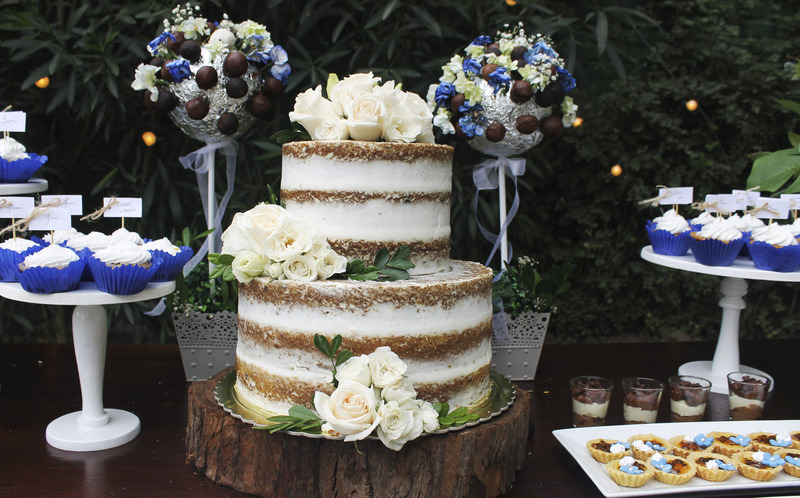 To respect symmetries and emphasise the beauty of the wedding cake, we placed two chocolate truffles arrangements decorated with Baby’s Breath flowers at the cake’s sides. 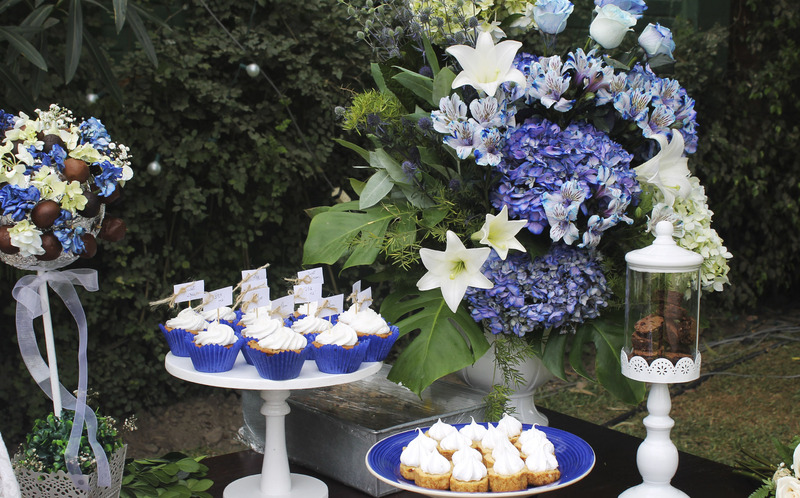 We placed brownies in glass jars, cupcakes and mini pies in cake stands, all wrapped with flower arrangements. 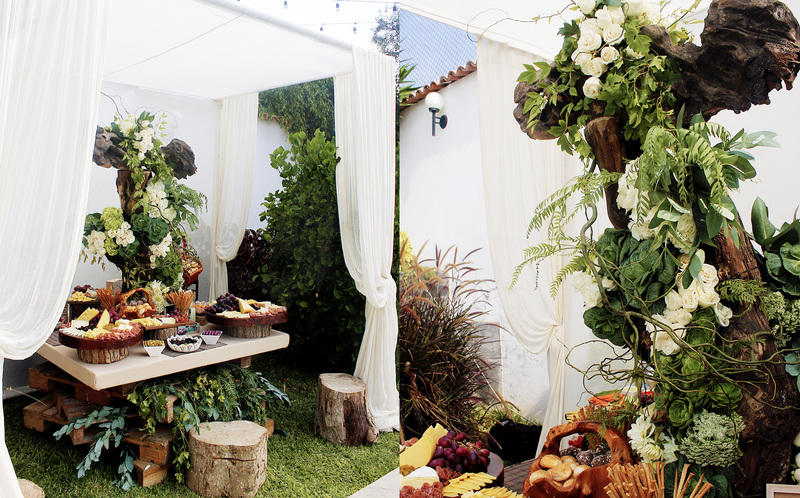 The result was a spectacular dessert table, finely decorated with a rustic style, with delicious desserts. 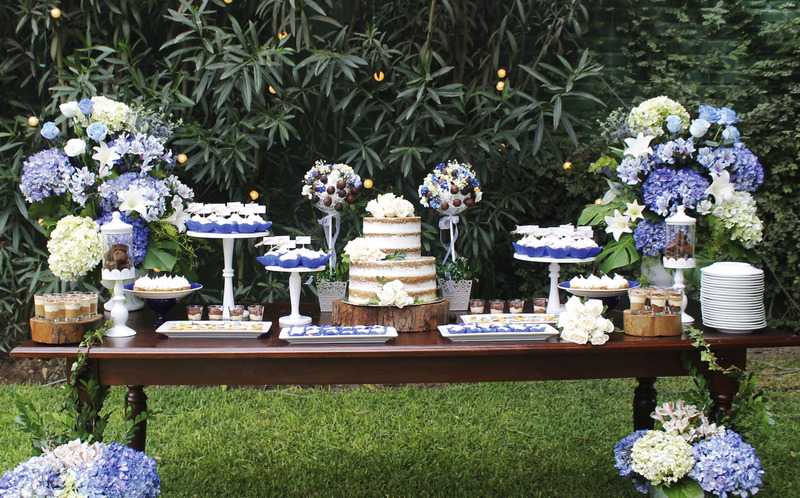 I think this is the ideal desserts set up for a sophisticated outdoor reception in a Hacienda. Guests loved it! 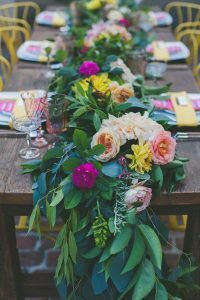 Centerpiece is always going to catch the attention of your guests, so in this article I’m going to give you 5 tips for picking the perfect flower centerpiece for your reception tables. 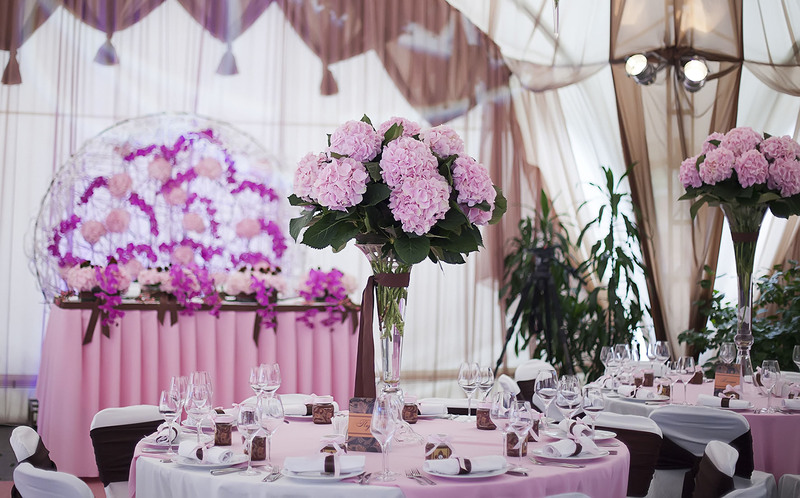 Looking at the color tones is essential, especially considering the venue you pick. 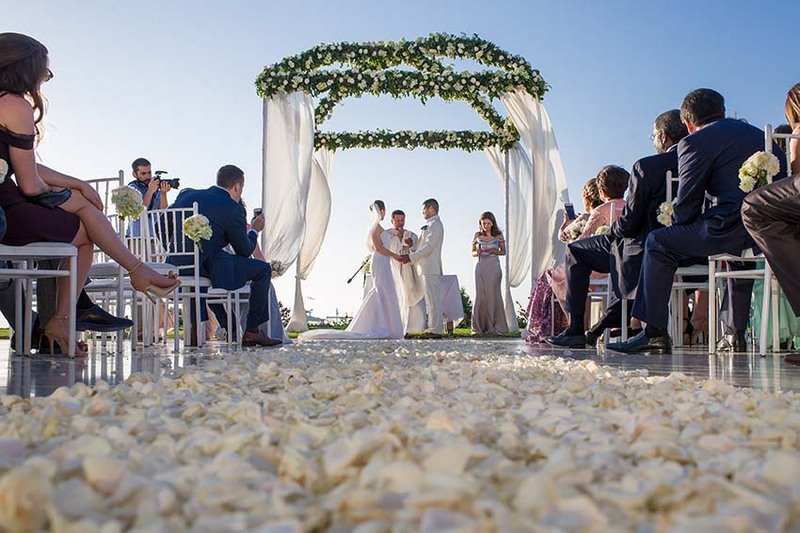 It could be a beach wedding, an outdoor wedding, a hacienda wedding or a wedding in a Hotel ballroom, and there are color schemes that are more suitable for an outdoor wedding than for a wedding hosted in a hotel ballroom for example, so keep this in mind! 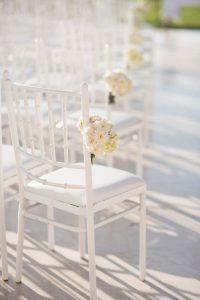 You can certainly use light colors for your flower centerpiece for an outdoor or a beach wedding, and intense color tones if your wedding will be hosted in a ballroom. 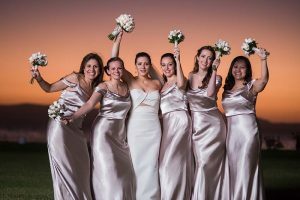 Also remember that the centerpiece plays an important part in your wedding photo session so try to combine it with other colors elements, such as your bouquet, details of your wedding dress, colors of your bridesmaids’dress, etc. 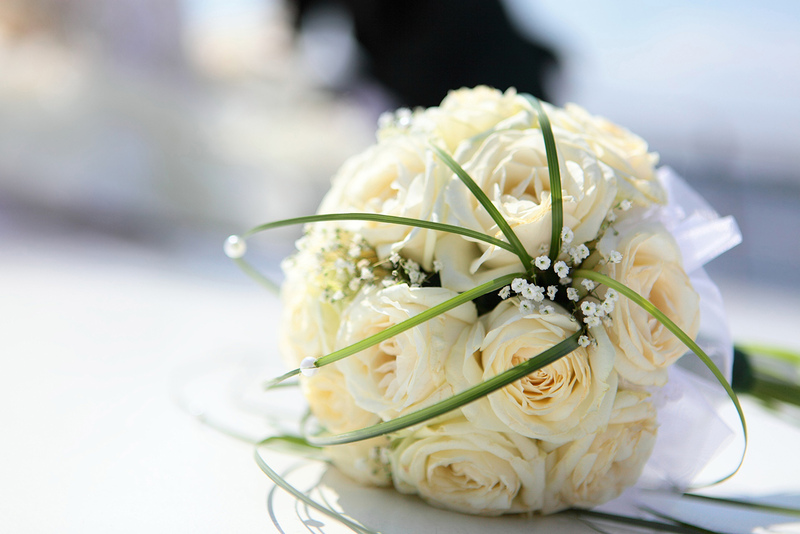 The type of flowers to choose is also another detail you should consider. First of all you should get information on the types of flowers available on that season and in the country you decided to get married. 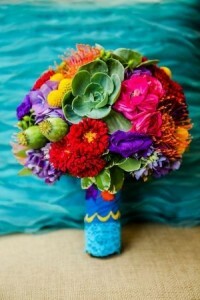 As for Peru I always suggest to brides to opt for Peruvian flowers, which are exotic and very colorful. Brides usually love them! 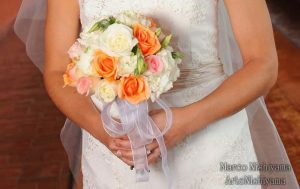 It´s not necessary to spend a lot of money in flowers, you can have a great result using a lot of greenery for example. This could be a good option if your budget is not so flexible. Flower vase is another element you should select, this choice is important since this complements how your centerpiece will look like. So consider the size, the color, the material and the decoration. All these details need to be in harmony with the venue and the color palette you chose. In the last years I helped several brides who really wanted to recreate a special and traditional Peruvian atmosphere for their destination wedding in Peru! One of the most important decorative elements for a wedding reception is the centerpiece, an essential part of your wedding table set-up. 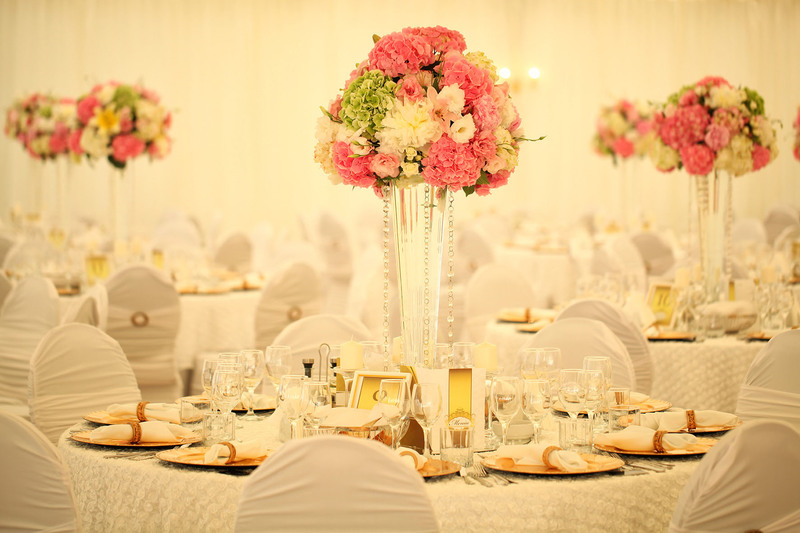 Centerpieces are very useful to create a specific theme or atmosphere and you have to choose the right one. From my experience a bad centerpiece can ruin all of your wedding photos, so thinks about it twice before making this choice! 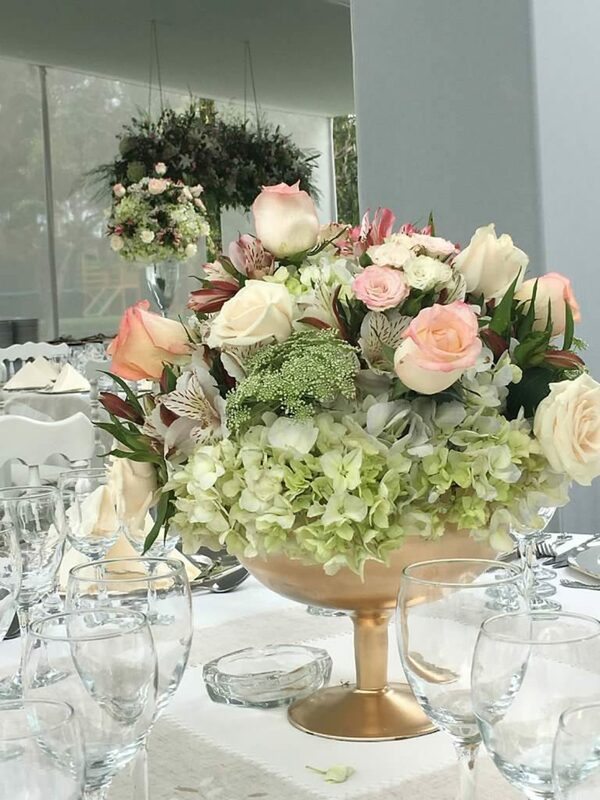 The basic rule is that the centerpiece must be in line with your color palette, I mean the colors you are using for invitation cards, Thank you cards, save the date, ceremony programs, ceremony flower arrangements, your bouquet and your maid of honor dresses. For example, if you are planning to have a lavender and ivory bouquet you shouldn’t use light blue or yellow flowers for your centerpieces. These are basic tips, but there is so much to say on these topics…I am sure we will have time to do so in the future. If you have questions, just drop me a comment and I will be happy to answer. outdoor reception in a Hacienda in the middle of the Sacred Valley of the Incas. This kind of floral arrangement is actually extremely visible and creates a beautiful effect. You do not need to use a vase or any other special box, just fix the flowers on the table and let them speak for themselves. This kind of centerpiece is ideal with wooden rustic tables. The rustic effect you create will be awesome! 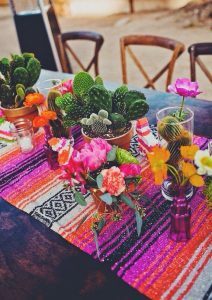 Another idea is to use traditional Peruvian fabric on the table and add some details, such as Peruvian traditional astromelias or succulents. 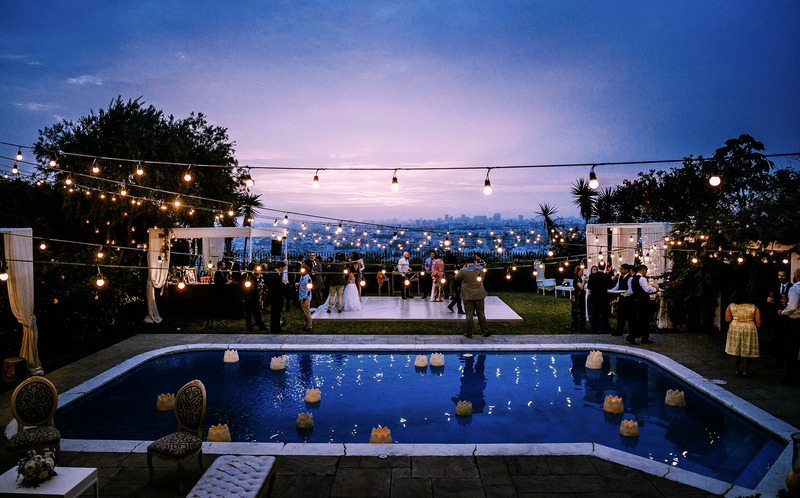 This set-up is ideal for outdoor wedding and your guests will love it. 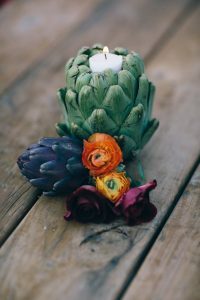 If you use little succulent plants they can also bring them home as favors. 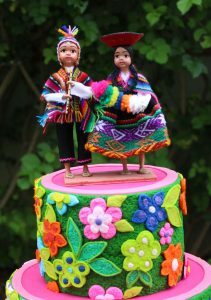 This centerpiece idea should be used for couples who really want a traditional Peruvian wedding and that love colors, since Peruvian fabrics are, a part that beautiful, also very colorful and they are not recommended for couples who like simple decoration and plain colors. 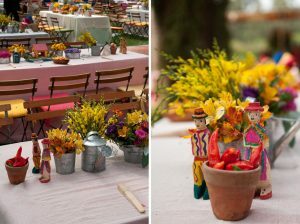 Another way you could add a traditional Peruvian touch to your wedding table set-up is to use as centerpiece Peruvian ingredients, such as yellow or red aji peppers, fresh or dried fruits or traditional Peruvian items, such as little sculptures of men or women dressed with traditional dresses or crock pots, that are often used in the criolla cuisine. 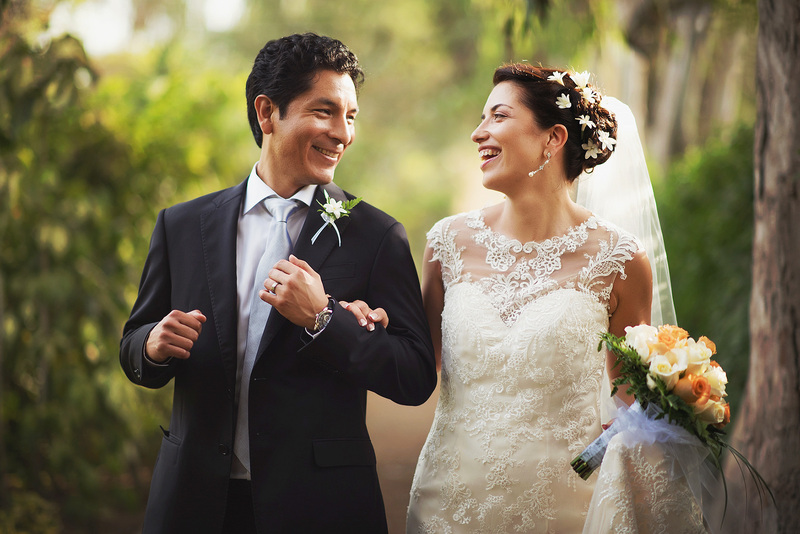 In this way be sure that your guests will not forget that they are in Peru for your destination wedding. 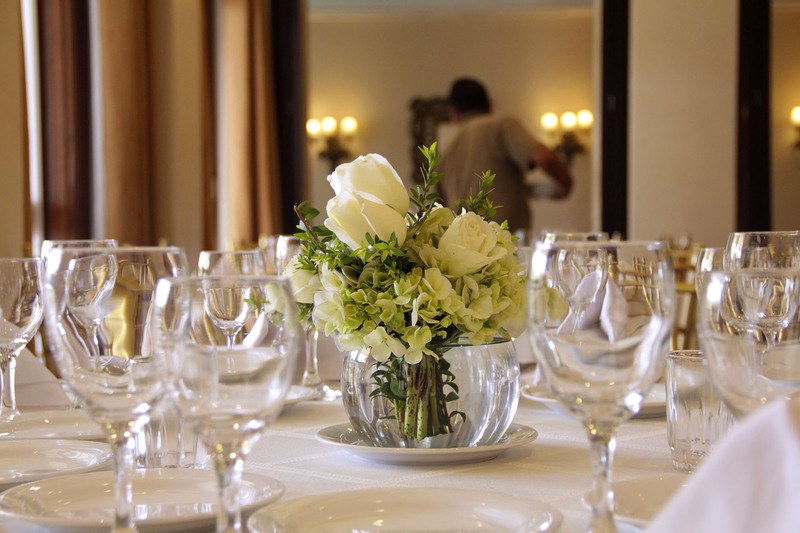 We believe that adding a traditional touch to your wedding reception tables could add value to your destination wedding in Peru. These are only some ideas of Peruvian-style centerpieces, but we can find tons of amazing options for you. 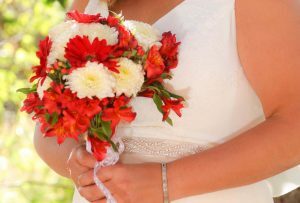 Bouquets are one of the most important things to choose when you are planning a wedding, even if some bride really put little attention on this detail, since they prefer to focus on their dress or on the ceremony atmosphere. 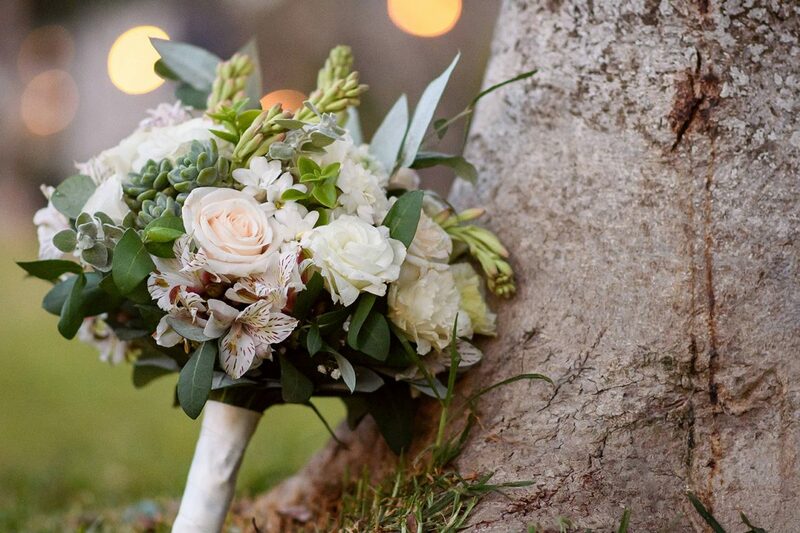 We believe the wedding flowers are a great part of your wedding and you have to think about it with attention trying to match the colors and style with your wedding theme, your dress and the color palette you choose. 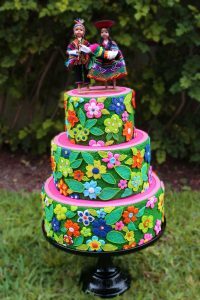 Here you will find beautiful examples of wedding bouquets that you might choose for your wedding day, and as you can see we tried to propose you colourful flowers combined with beautiful Peruvian traditional fabrics. 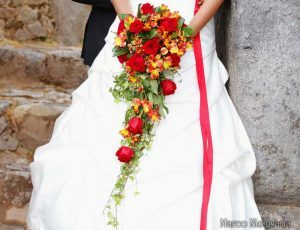 That way you will add a special peruvian touch to your wedding celebration and you will have a very oroginal bouquet. Peru is famous for brilliant and warm colors, as well as for great and joyful celebrations. 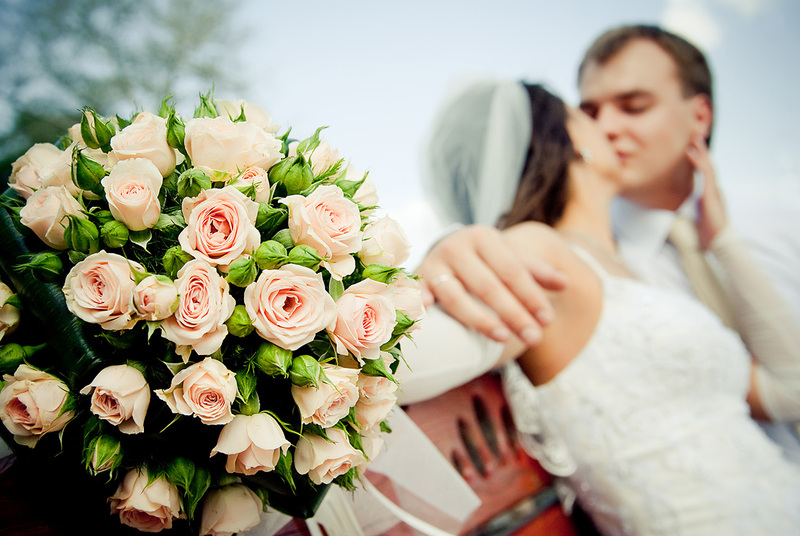 If you decide to pick the traditional Peruvian theme don’t step back and dare to choose Peruvian flowers for your wedding bouquet, such as Peruvian astromelias. 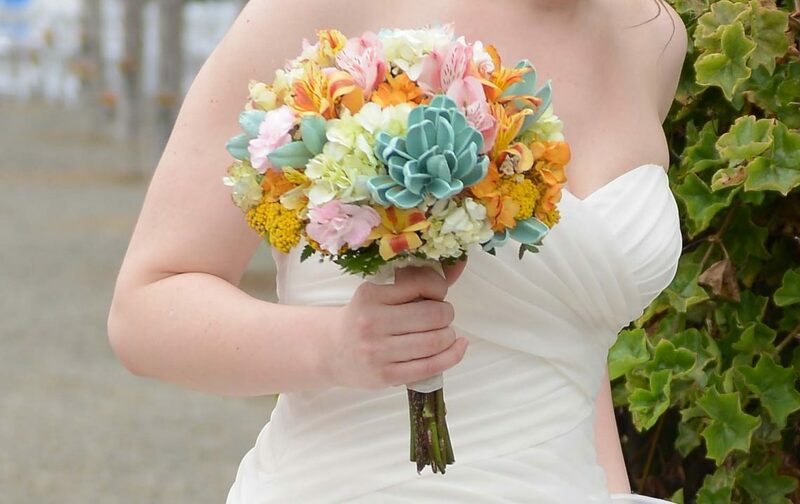 These flowers are very colorful and they will add a vibrant touch to your wedding dress.You can wrap your bouquet in colorful traditional fabric, as in the photo above or you can simply go for a white fabric, as shown below, with a little colourful detail on top. 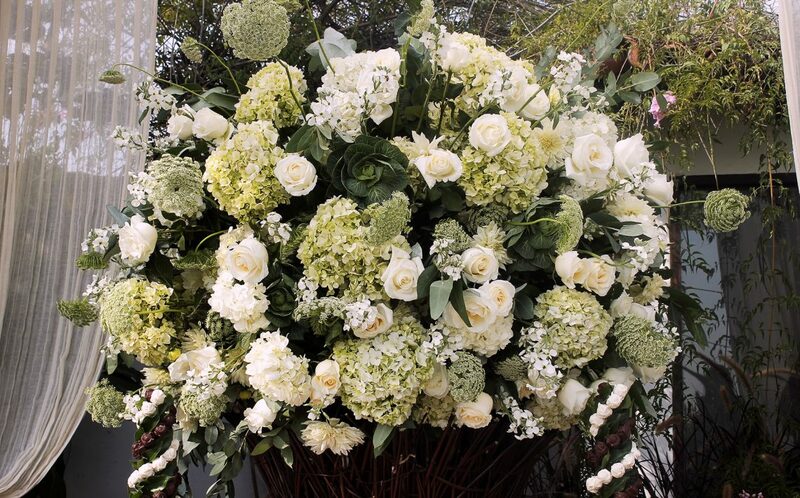 In this last case flowers and green foliage will be the bouquet’s main attraction. 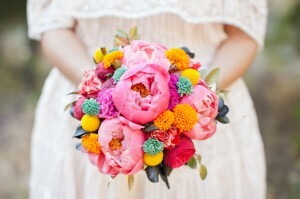 If you don’t like the bright colors, you can choose flowers in pastels tones with some flowers of strong colors, such as yellow or red, to create an incredible and beautiful contrast. Do not forget to add foliage and a green touch as well. 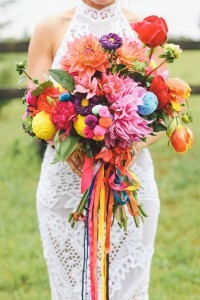 Other option is to combine several traditional Peruvian flowers and to decorate the base of the bouquet with traditional Peruvian pompoms, which make your wedding bouquet very original and trendy. The fashion icon, Sarah Jessica Parker, in her last trip to Peru bought so many Peruvian pompoms in a local market as souvenir and as material to create brand new fashion accessories! 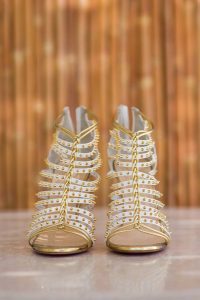 So do not forget this original tip we are giving here, it will be very useful if you want to have a trendy wedding celebration in Peru! 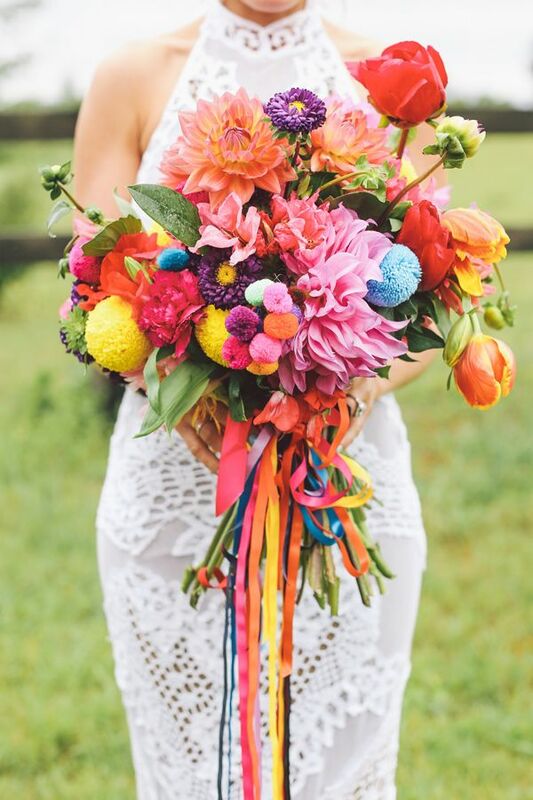 If instead of a small bouquet, you want a big and airy one you can let fly your imagination and opt for a mixed-flowers bouquet, very colorful as the one below! 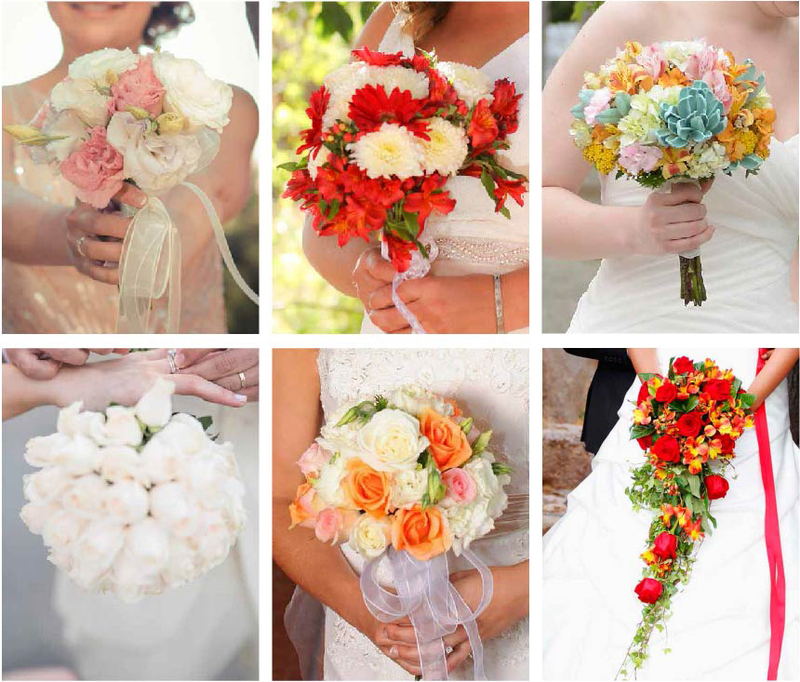 The key here is to choose flowers of different sizes and lengths and combine bright colors all together. This contrast will actually create harmony and your guests will be amazed by your flowers, since will be the first thing they will look at! You can also use long and colorful ribbon to decorate it! 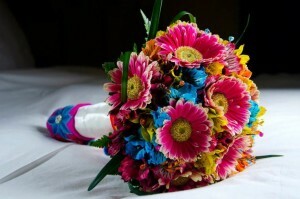 Those are only few ideas; you can do many of different things playing with flowers colors, sizes and decorative tools. 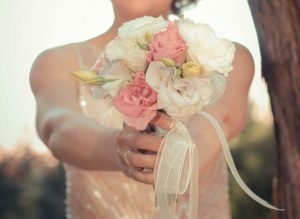 The most important thing is that your wedding flower bouquet reflects your personality and the theme you chose for your special day! Our advice is “just let your imagination fly”! 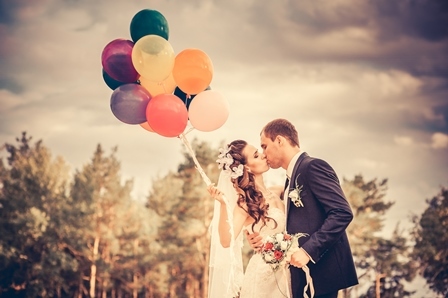 If you like this don’t forget to follow us for more wedding tips, pin and share this article with your friends.